Newport, RI, February 2008 – Wimco Villas has secured a number of sumptuous properties across Europe to add to its extensive villa collections in France, Italy and Greece. 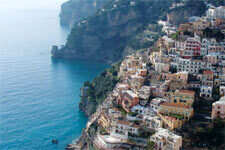 The latest additions are now available through the award-winning luxury villa rental expert for the first time. Stiles Bennet, Director of Marketing, Wimco Villas, said: "With over 25 years' experience in seeking out the finest and most spectacular villas in the Caribbean and across southern Europe, our understanding of what makes a villa special is unrivalled. Whether it's a private chapel, a secluded sundeck with vineyard views, a butler on hand, or a secret location, our most recent additions continue to set the standard for luxury rental villas in Europe." Gracing a cliff top overlooking Positano, Villa BRV DOR is a private Amalfi coast palazzo boasting uninterrupted panoramic views of the Mediterranean and the historic town below. Citrus gardens and secluded terraces surround the four-suite property, decorated throughout in a high Baroque style including ceiling frescos and vaulted alcoves. The secluded grounds include a private chapel and a pool with a waterfall and resistance swimming. A full staff including butler, cook and gardener is on hand to attend to guests' every need, including serving home baked pizza from the palazzo's forno on the sunset drenched sea-facing terraces. Within easy reach of the village of Ravello, Villa BRV DOR is available from $27,114 for up to eight guests for seven nights including the three staff, daily breakfast, and a welcome dinner with wines upon arrival. 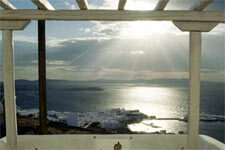 On the chic Greek isle of Mykonos, Wimco Villas now offers three more properties close to the charming old port. The three villas that comprise LIV EVA offer a calm hilltop retreat within walking distance of the restaurants and tavernas of Mykonos Town; a pool surrounded by sun terraces and en suite garden bedrooms provide a suitably stylish sanctuary overlooking the Aegean Sea. Available from $3,500 for seven nights, the three villas can be rented together – ideal for a group of friends - and are private enough to be enjoyed as individual rentals. Also in Mykonos, Villa LIV MAG boasts a cliff top pool and sundeck with 180-degree views of the coastline, and Villa LIV PAR, three new semi-detached villas each offer private infinity pools looking out over the golden beach and azure sea. In Provence, Wimco Villas adds three properties, each a haven of tranquility set within its own grounds. Ideal for a larger group – the property sleeps up to 24 people in 11 bedrooms; Villa CEN CRE enjoys a privileged position near the picturesque village of Baux de Provence surrounded by olive groves, banks of lavender and a small golf practice range nestling in a pine forest. In addition, Wimco Villas has secured more breathtaking properties in Tuscany – Villa BRV VIG, a recently renovated 18th century farmhouse surrounded by vineyards; Villa HII VLL in Umbria – a classic villa ideal for families, and an hour from Rome; and Villa BRV VIO in Sicily – an all-suite villa close to the beach.